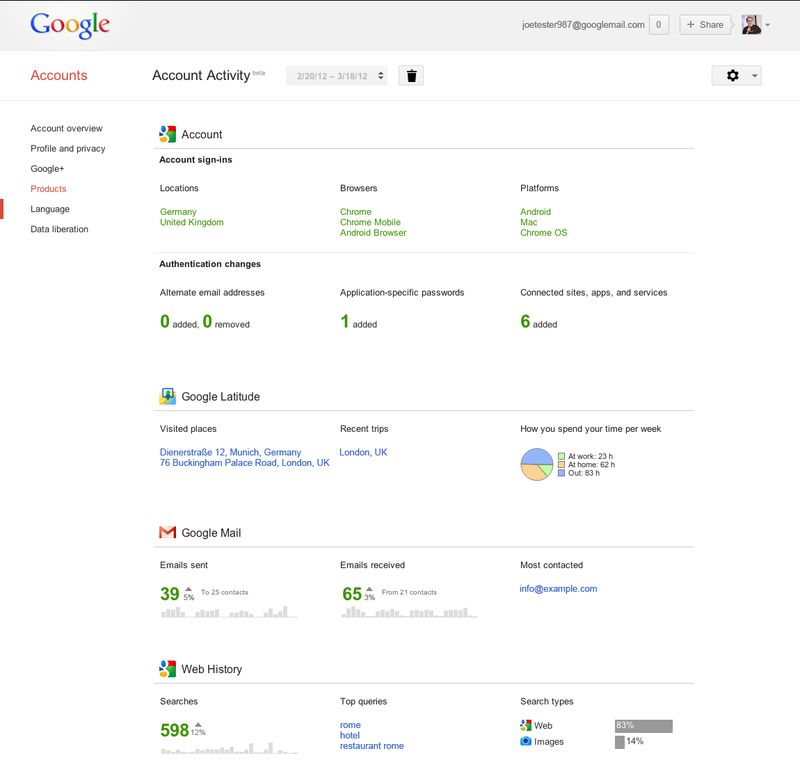 , a new feature in your Google Account. If you sign up, each month we’ll send you a link to a password-protected report with insights into your signed-in use of Google services. 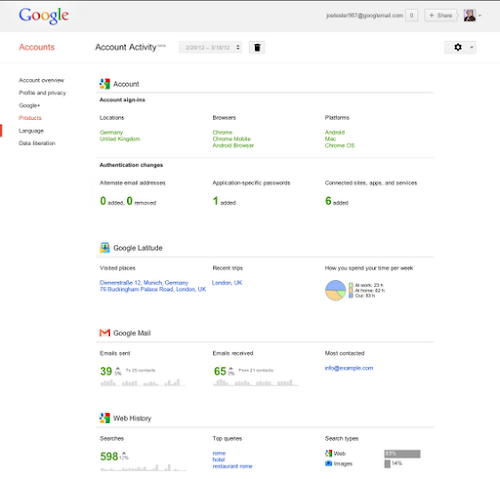 Account Activity is a complement to other tools like the Google Dashboard, which shows you what information is stored in your Google Account, and the Ads Preferences Manager, which lets you control the way Google tailors ads to your interests. Update March 30: Added information about related tools.